Recently I fractured both of my feet, I have no idea how. But after weeks of pain I went to the gp who sent me for scans and to the orthopaedic doctors and the results were both are fractured. Treatment plan is to wear beautiful moon boots for six weeks then a review with the fracture clinic. And to rest my feet. Saturday, I went to the city with my partner to meet with our friends from rural Victoria. I borrowed my partners wheelchair so I could deal with it. Honestly, this gave me a whole new perspective. 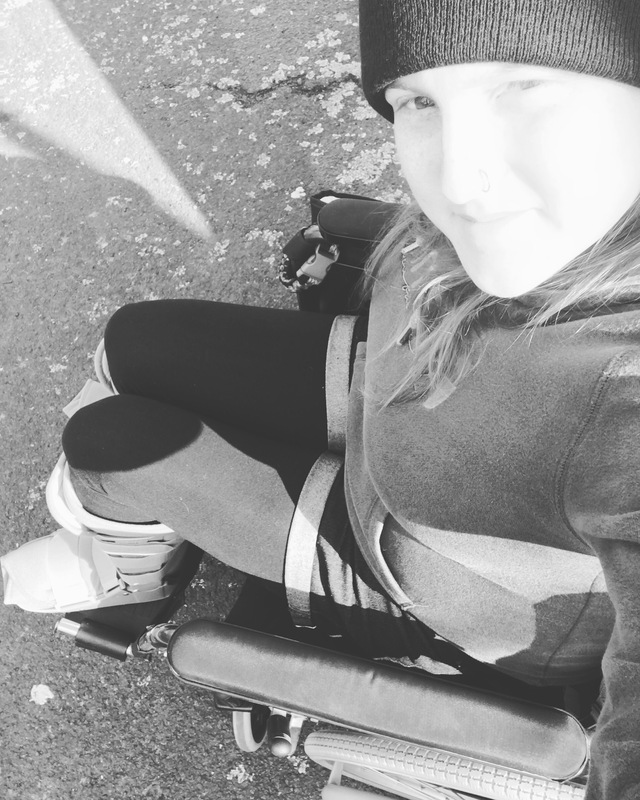 The world is so inaccessible for people in a wheelchair. Also, the majority of people are jerks. Let’s start with the train station…to get to the station from the car park you have to get up a big hill. Which in a manual chair you would need arms of steel and super core strength! Once you get to the platform entrance and through the barriers you have to go down a steep ramp. No lift. The train drivers were fantastic and helped us by putting the ramp down so I could get on. I managed to push myself most of the day, so my arms were killing me later. 😂 Thankfully my partner was there so, she could push me if I got into a struggle. Ramps and slopes are hard! A work out for the upper body thats for sure. The second thing I noticed is that people stare, like a lot. I have moon boots on my fractured feet so it’s quite obvious i’m injured, yet people still stared. People stare, yet still stand in front of you making it hard to move. Whilst we were the station my partner was pushing me as the platform was busy, and we had to be at the other end of the platform pretty quick…I’m not the fastest driver. This guy wasn’t looking where he was going, so we stopped. Then HE walked into me…he looked up at me, at my partner and went “are you going to knock everyone over”…I replied “you need to look where you are going” He was so offended that he walked into us. Lastly…the world is so inaccessible! Like seriously! It is. It’s horrible, it made me feel like a nuisance. Slopes, steps…soooo many steps everywhere. One step makes a place in accessible for a wheelchair user. It makes me sad. Trams are terrible, you can catch an accessible tram, yet only a handful of stops are actually accessible. It’s insulting. Full time, part time, long term chair users I feel for you. Living day in, day out in such an inaccessible world is soul destroying. I salute you. Previous Previous post: I’m not tricking you brain.